London's mayor has officially taken control of the Tube - but has warned the travelling public not to expect instant improvements. The transfer of London Underground Ltd (LUL) from government to local control at midnight on Monday marked the culmination of years of wrangling over how to pay for much-needed modernisation. 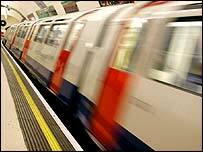 Mayor Ken Livingstone and Transport for London (TfL) now have overall control over how the Tube is managed and run. A new LUL management team is in charge of day-to-day operations and staffing of stations, while two infrastructure companies (Infracos) are responsible for maintenance and modernisation for the next 30 years. Mr Livingstone said the controversial public-private partnership scheme (PPP) which TfL had inherited from London Transport would make life difficult. "I am delighted London Underground is finally transferring to the control of London's democratically elected government," he said. "Major improvements cannot be delivered overnight and PPP imposed by the government will make the management and improvement of the system more difficult." 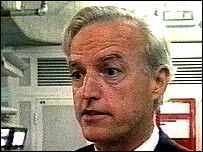 Mr Livingstone fought a long legal battle with the government over the PPP proposals, claiming they did not provide value for money for taxpayers or passengers. His transport commissioner, Bob Kiley, said he still believed PPP was not the right way forward. He said he would do all he could to hold the two Infracos, Metronet and Tube Lines "to account on the improvements they have promised to deliver". The new LU managing director, Tim O'Toole, reiterated that big improvements would not happen quickly. "My first priority is to ensure a safe, reliable and clean Tube service," he said. "The Tube has been starved of investment for many years, but staff have done a remarkable job moving three million people around London every day in very difficult circumstances." The PPP package agrees that a total of £16bn will be spent upgrading and maintaining the Tube during the next 15 years. Transport Secretary Alistair Darling said: "PPP is a substantial programme to deliver a modern service that Londoners rightly expect and deserve. "It is now for the mayor and TfL to deliver this." Mr Livingstone is also hoping to agree a four-year pay deal with Tube workers and end the threat of strikes. He has already pledged to open negotiations with union leaders. "Ken Livingstone believes the road ahead will be a bumpy one"